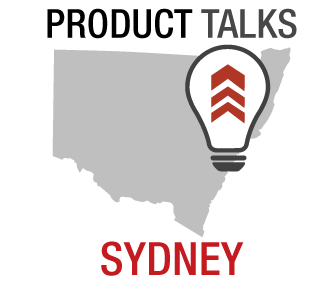 In the lead-up to the Vivid Sydney Product Management Mini Conference on the 6th June, 2014, we interviewed Henry Ruiz, one of the 4 keynote speakers. Henry will be sharing his pearls of wisdom about how he creates great products and services during Product Development. As Chief Product Officer for REA Group, Henry Ruiz drives the consumer and customer product strategy for Australia’s No. 1 residential and commercial property sites, realestate.com.au and realcommercial.com.au – including web, mobile and tablet experiences. He also has accountability for the equivalent sites in Hong Kong & China; Italy, Luxembourg and France. Since joining the REA Group in 2009, Henry has guided the strategy for his team in launching new high-usage consumer products and new advertising products for the Group’s real estate agent, developer and display media customers. When were you first exposed to Product Management & what was your path to becoming a Product Leader? 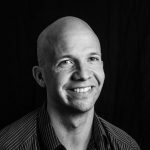 I had a relatively atypical journey into Product Management – I studied to work as a psychologist and, in the process, developed a keen interest in the “internet” as it came of age. As the field of human interaction and digital media have evolved, I found myself naturally drawn to this topic area which led to my part-time work as a HCI (Human-Computer-Interaction) consultant which led ultimately into the world of product management. The opportunity to work alongside people from a range of areas including sales, technology, and brand communication has enabled me to harness new skills, develop a commercial mindset, and gain a better understanding of how people think. How has Product Management evolved while you have been at REA? The product function at REA Group has evolved dramatically with the business moving from a pure listings site to a more dynamic and encompassing property search experience. We have a really human touch to how we work, operate and execute and are fortunate to have the opportunity to work closely with our customers and consumers in developing products. This engagement approach allows us to deliver products and experiences tailored to the needs of our audience, such as offering vendors information about the property market, identifying the right time to buy or sell, selecting a real-estate agent or marketing their properties on realestate.com.au with the right product mix for maximum enquiry. What have you learnt over the course of your Product Management career? I believe there are predictable key pillars of success, which I will be discussing further at the Vivid Sydney conference. For instance – for Product Managers to be successful, I believe much of it comes down to the psychology of person doing the role, as well as fundamental qualities including their technical skills and their ability to engage in the market. How does financial data help you in your role as a Product Manager? Financial competency is critical to success – an appreciation of how the money flows for your customers is a key skill for a Product Manager. You need to understand the commercial drivers of your customers to provide a relevant product or service and to deliver a business outcome. What are the challenges of Product Management? Product Management requires people to be well-rounded. That is, they have the ability to walk a mile in a sales persons shoes, work alongside an IT expert, engage effectively with creative design resources and talk through a business case with executives. It’s a rare talent! What can organisations do to overcome this difficulty of finding well-rounded Product Managers? At REA Group, our approach to hiring is finding people with the right psychology and key skill building blocks of Product Management. We have an educational institute philosophy that enables on-the-job coaching and mentoring. Our strategy entails the pairing of staff (experienced with less experienced), as well enabling people to learn openly from other complementary functional areas in the company. Why is Product Management such an attractive discipline to be in? Being a Product Manager is like running a small business so it provides a solid framework in understanding how a commercial enterprise operates. It provides future career opportunities and important skills for life. How do Product Managers progress their careers at REA? We have a relatively flat structure so the level of upward title change is not as significant as other organisations, however as employees develop, the project work becomes more strategic, bigger in scope and comes with greater autonomy. The skills expected of our Senior Product Managers are quite high-level, often featuring similar capabilities equivalent to GMs in smaller companies. Which aspect of Product Management that you love the most? How do you think the discipline of Product Management will evolve? With the rapid rate of change in technology, core digital skills are paramount to move into the Product Management jobs of the future, whatever the interface may be. Product Managers need to understand the entire ecosystem including government legislation, technology constraints such as data speeds, and operating systems to name a few. It’s a complex job and – when done well – highly satisfying. Are there any issues that the Australian Product Management discipline faces? 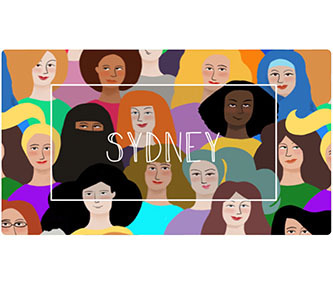 I’m seeing some instances in Australia where Product Managers are moving into startups to play their hand at running a business on their own which is great – but means there’s less people to help teach the others. There’s also a component of talent drain where our top talent heads offshore due to the opportunities presented there. To retain our Product Management talent, I believe we need to consider the type of cultures we create that allow for on the job training and coaching, and provide a level of investment in developing our people. 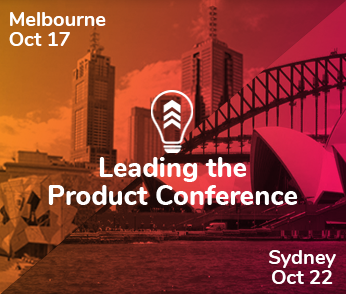 I’m looking forward to rubbing shoulders with like-minded Product professionals at the Vivid Sydney Product Management Conference. There is much to be gained by openly sharing what has worked and what hasn’t. I also look forward to seeing the next generation of Product Managers at the Conference. It’s a terrific opportunity for the industry to support and grow our local talent.